In a sense this is a book of binary opposites. Archive and experience. Language and perception. Reading and writing. European explorers and Asian explorers. Outsiders and insiders. Collaboration and conflict. Exploitation and support. Man and Nature. This is a dialectic study in fascinating conversation with itself. 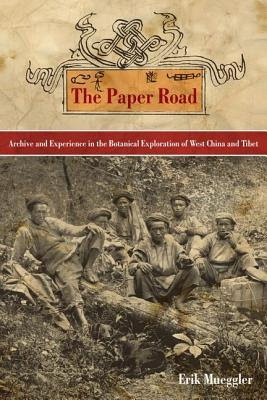 At first glance The Paper Road appears to be an examination of the lives and careers of two distinctly different botanists working in the same area of West China in the early decades of the twentieth century, but it is in fact centred upon a single indigenous community. 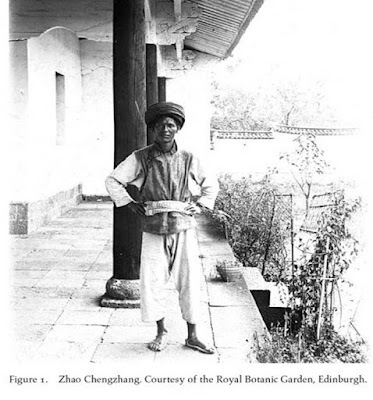 The book pivots upon a small Naxi village and a group of local men, who through two generations assisted the two botanists - George Forrest and Joseph Rock. These local Naxi men, as Erik Mueggler amply demonstrates, are the silent experts operating tirelessly in the background with great devotion, applying their own detailed knowledge of the flora and terrain of their native region to both guide and inform their two western patrons - as such, they are the unsung collaborators which this study seeks to unearth afresh from historical obscurity. Forrest and Rock could not be two more radically opposing personalities. Temperamentally and operationally they were quite different men. Forrest was a steady, methodical, hard-working scientist with ambitions to climb up from his modest social background, using his expeditions to "get on" by pursuing botanical collecting for both commercial and scholarly ends. 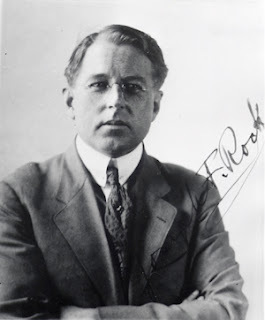 Rock on the other hand was a flamboyant drifter, a man of all-consuming but flighty passions. He arrives in West China as a sponsored botanical collector but eventually leaves, after many expeditions over the course of many decades, as a patronless collector of books. Forrest is altogether uninterested in his largely nameless native guides, whereas Rock, although despising many of the locals he encounters, nevertheless becomes fascinated by their curiously unique pictographic language. 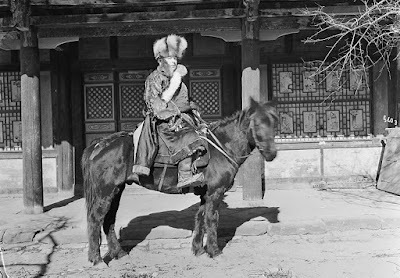 Having disappointed, let down or offended his various botanical sponsors, he shifts his focus away from plants and instead studies the Naxi language (and there-by-extension, Naxi culture too) almost obsessively throughout the course of his later expeditions, becoming immovably bogged down in his own language in the process. Forrest is neat and methodically scientific, whereas Rock, who is also rigorously scientific in certain capacities, nonetheless is prone to flights of fancy and exaggeration - the showman who "plays it" up for the editors of The National Geographic Magazine (who are sometimes funding him), declaring he has found a mountain which is higher than Everest, but then ultimately fails to submit his promised copy. Both men are prejudiced against the local populations they encounter and as a consequence each can be decidedly heavy-handed in their dealings with local authorities and ordinary lay-people alike. Forrest abhors being the constant focus of their vapid gaze, Rock despises and obsessively rails against the excessive filth he encounters everywhere. Forrest is there to get his job done in order to satisfy and impress his patrons back home. Rock is a restless wanderer who always seems to circle back to the same location, either fantasising about settling down there to an idyllic pastoral life or hastily running away at the prospect of impending trouble or upset. 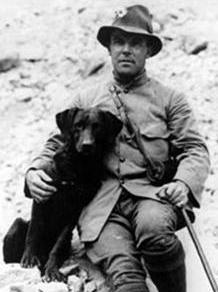 Whilst Forrest seeks to use the enhanced prestige he automatically enjoys as a foreigner (protected by the exemption from being subject to local laws under the terms of extra-territoriality), he ultimately hopes his expeditions will make his name and enable him to move on in society back home; Rock, on the other hand, doesn't seem to fit in back home, and so he is constantly on the move; also enjoying the foreigner's natural sense of privilege, but, it is suggested, he is perhaps striving to find fulfilment in a life socially removed from the restraints and taboos back home in Europe and America. This book is not a work of straightforward biography however. Nor is it a simple history. Erik Mueggler is an anthropologist who has himself worked in this particular region of West China. He is primarily interested in the interaction of text and landscape, hence he uses Forrest and Rock as cultural-historical lenses through which to 'read' the local societies, in particular the Naxi; using the personal records - diaries, letters, labels, photographs, maps, and notes - associated with the collecting expeditions of Forrest and Rock which survive in various institutional archives, to examine how both the two Western botanists, as well as their Naxi counterparts, each read, interpreted, codified, and transcribed the landscape around them. Such a novel and highly nuanced technique renders the book's wide-ranging subject matter into a fascinating composite of 'archival' readings which operate on multiple levels. As a complex cultural study the book is a dazzling and eloquent work of scholarship, easy to read and internalise. This is a book of ideas as well as interpretation. It's an enthralling adventure of a read as well as an ambitiously accomplished and thought-provoking study. As this is a work which relates closely to my own area of research (Western travellers in East Tibet in the early 20th Century), it is undoubtedly a book which I will return to and pore over in far greater detail in times still to come. But as an initial read, my main impressions are that this is a work which will appeal to a wide range of interest areas - for those concerned with comparative studies of colonialism; those interested in Chinese minority cultures; borderland studies; historical geography and exploration; ethnography, etc., - it will sit welcomely on the bookshelves of many different disciplines across the humanities and social sciences. The only real problems I had with the book, as such, I later realised were essentially derived from the main personalities the book is devoted to - the book is structured in two halves, and each half essentially mirrors the man who is its focus. Part one is neat and concise, rather like George Forrest; whereas Part Two, appears longer and looser, and is somewhat unpleasant, rather like the personality it sets out to portray - to which I conclude I'm not much enamoured of Joseph Rock, despite the fact that I clearly recognise, for all his many faults, he was and remains a fascinating figure of study. I was, however, wholly enamoured of this book, and so I recommend it highly. You can listen to an interview with Erik Mueggler on how he came to research and write 'The Paper Road' here.